« Time to start thinking about Mom! Have you seen these around town? 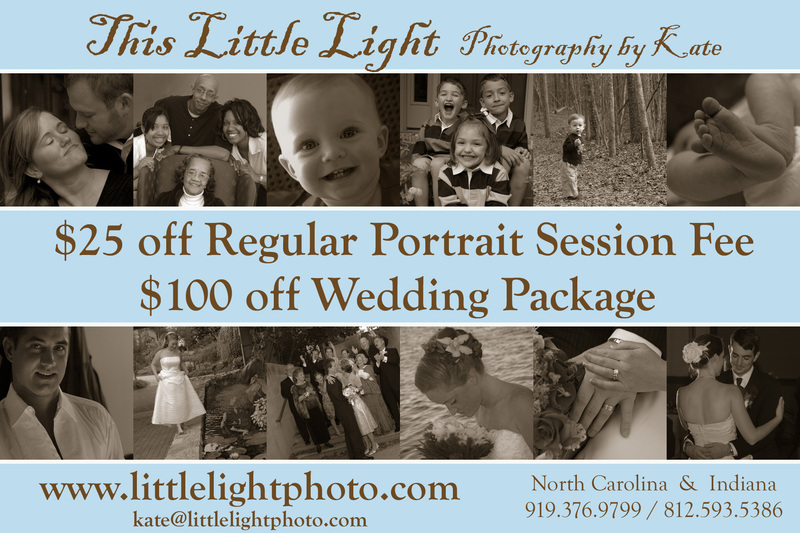 I have these gift certificates good for $25 off of a Regular Portrait Session or $100 off of a Wedding Package! They’re available in various shops and businesses around Raleigh and Indianapolis. Keep an eye out for them! You may actually be on one of them! Or, if you don’t actually have one, but would like to receive the same discount, just let me know! !